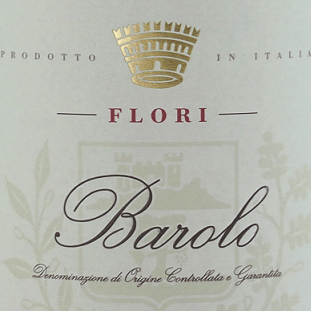 'Flori' has all the tell-tale Barolo characteristics with tobacco, leather and violet scented aromas from the Nebbiolo. Tannins are firm and pleasingly supported with plump fruit and a round silky texture, giving a good lengthy finish. Araldica is the largest and most progressive co-operative yet retains a small, family run company feel, thanks to the inspired guidance of winemaker/manager Claudio Manera (whose father Livio was the co-op's first winemaker in the fifties) and his wife Lella, also a winemaker and in charge of Quality Control. 80% of production is bottled (an extraordinarily high percentage for a large co-operative) at the company's headquarters in the Monferrato hills, home of the old cellars and a new winery, operating since September 2000. This is complimented by two estates, each with it's own vinification cellars, La Battistina in Gavi (where Araldica is the region's largest vineyard owner) and Il Cascinone. Claudio believes that effective management can preserve that most important concern for the customer - value for money: "Our intention has never been to follow an idle dream of making a great wine that is then impossible to find or difficult to afford. Our broader ambition has been to provide a range that is both understandable and accessible. Quite simply, wine for drinking and enjoying."